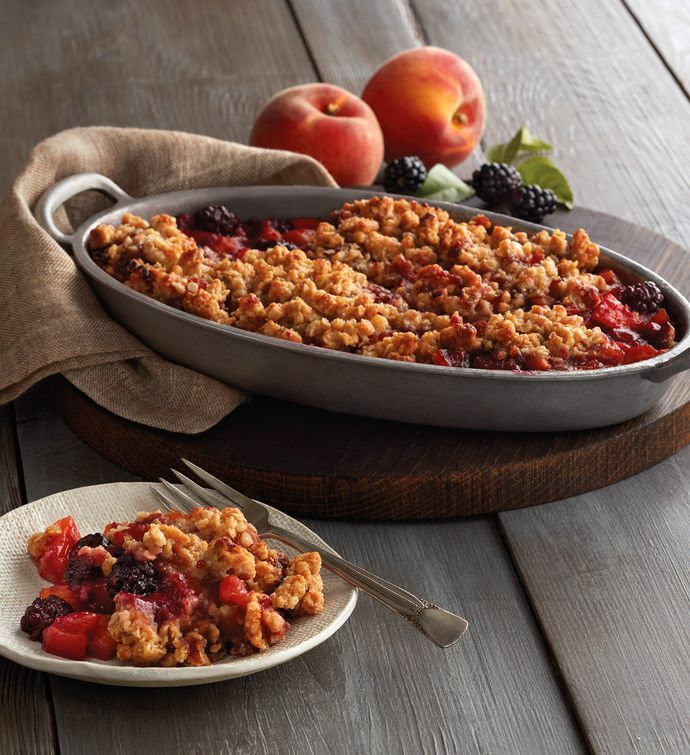 Made in our bakery with diced peaches, seedless marionberries, sugar, and lemon juice. This exceptional dessert is finished with a topping of rolled oats, flour, both extra fine and brown sugar, butter, and cinnamon and is baked until bubbly. 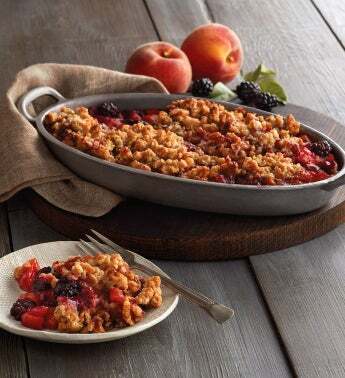 Simply reheat and serve with ice cream or yogurt for a flavorful treat everyone will enjoy.